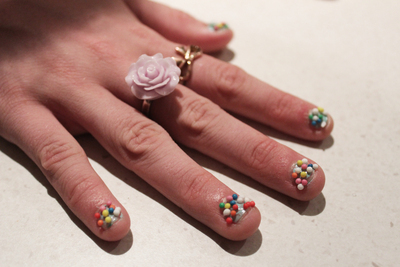 Katy Perry was one of the first to rock out this cute nail look, it's easy to recreate for yourself. 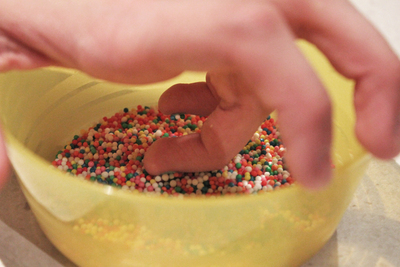 Make sure you don't pour a whole bag of 100s and 1000s into one bowl. 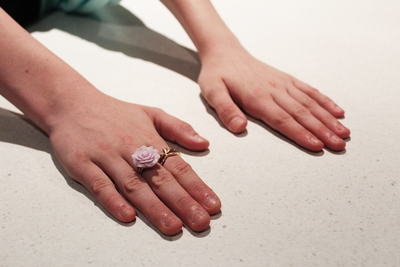 You won't want to use them for food once you've been dipping polished nails into them. First make sure your nails are clean, and any old polish is removed. 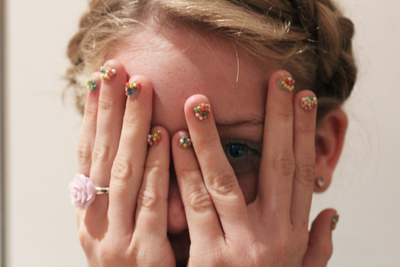 Paint your nails one by one. 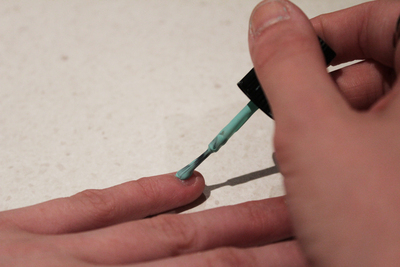 After painting one nail, dip your nail into the 100s and 1000s. Repeat one at a time with each nail. Wait for the nail polish to dry. 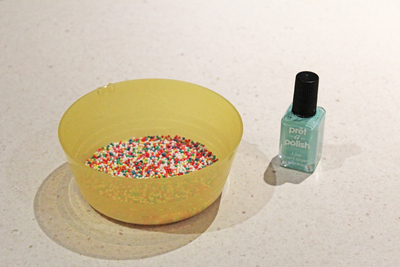 Take a clear nail polish and go over the top of the 100s and 1000s carefully. This will help them stick together. 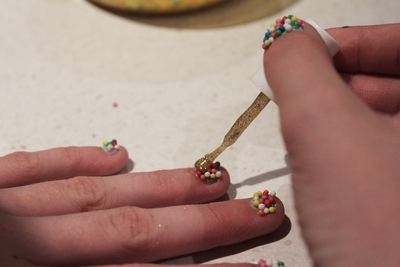 We used a glitter nail polish, but it's best with a completely clear polish. Once dried, repeat with another layer. Wait again for the polish to dry completely before doing anything. 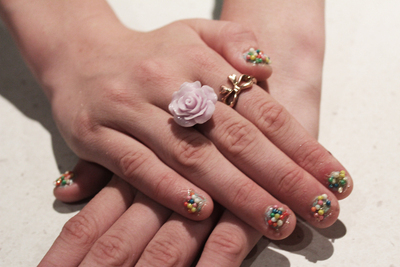 Your candy nails won't be as stable as regular polish. It's not something you want to do before doing the dishes or spending some time in the garden. But the nails will last you through a party. What a great and simply idea. My daughter will love this for her next party.